This past Sunday I decided to go for stripes and polka dots! 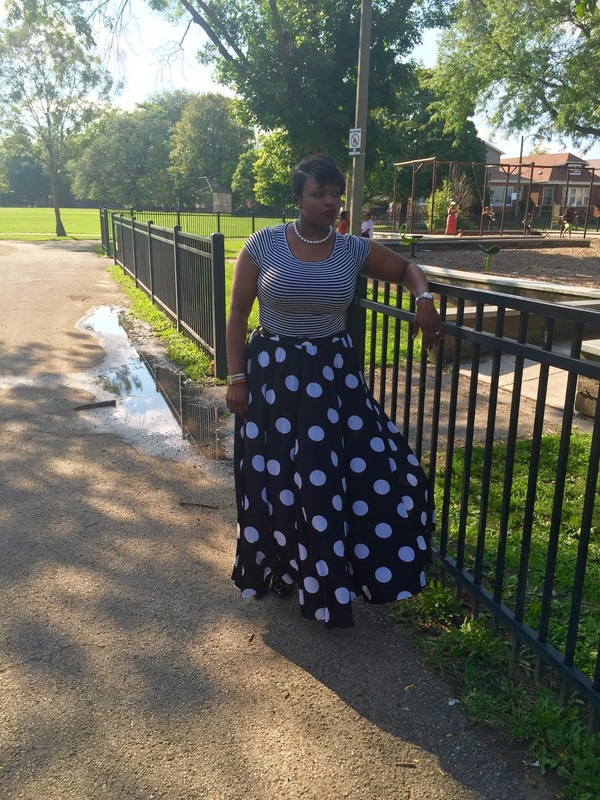 After an amazing church service, I had some fun taking pictures in the park. This skirt is very lightweight and super comfortable. 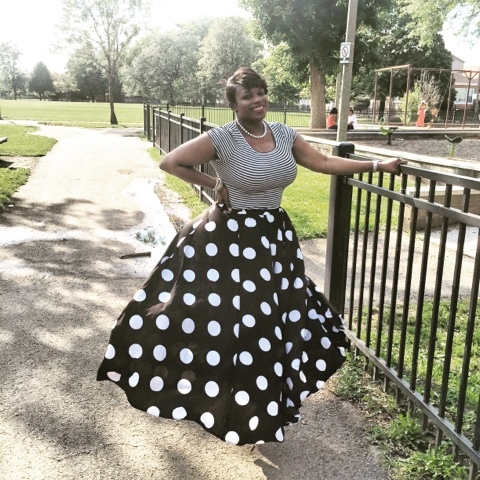 Check out the pics and see where you can purchase a similar skirt and the exact shirt below. Don't be afraid to mix prints, have fun with it! 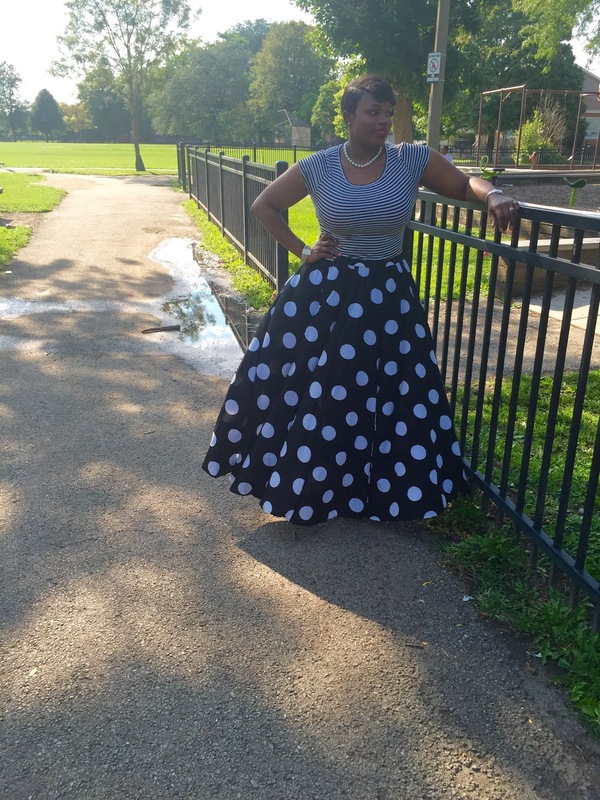 I got lucky and found this "Mix Nouvou" polkadot skirt at a discount store in Chicago called Bolton's for $20!! My shirt is from the The Limited; trust me all stripes are not created equal. They have the best fitting tees! Unfortunately, Bolton's does not have an ecommerce website so I went on the hunt to find a similar one for my readers! I found a very similar skirt on Amazon in multiple colors, I'm thinking of getting another color myself because I totally loved this effortless look.